``NOTA` is an Unexciting Political Thriller. Varun (Vijay Deverakonda) is not interested in emulating his `Chief Minister` father (Nasser) into Politics. Despite that, his dad who is facing corruption allegations makes him a Temporary CM. Varun takes things lightly which results in an unfortunate incident totally changing his perspective. Rest is how He fights to save the state from his Corrupt father. Vijay D is a major asset and shines in a role which suits him. Nasser and Sathyaraj gets meaty roles and are a good supporting act. Only Sanchana gets a prominent role amongst Female Actors and is adequate. Music: Songs are ordinary. Background score is Good. `NOTA` is aimed at Tamil audiences and it is a largely a Dubbed Version and not a Bi-Lingual. Political Drama/Thrillers need a solid Screenplay and gripping narration and `NOTA` doesn`t score that well in both aspects. Although we get entertained by a few Relevant episodes, the film lacks connect and is unexciting for the most part for Telugu audiences. 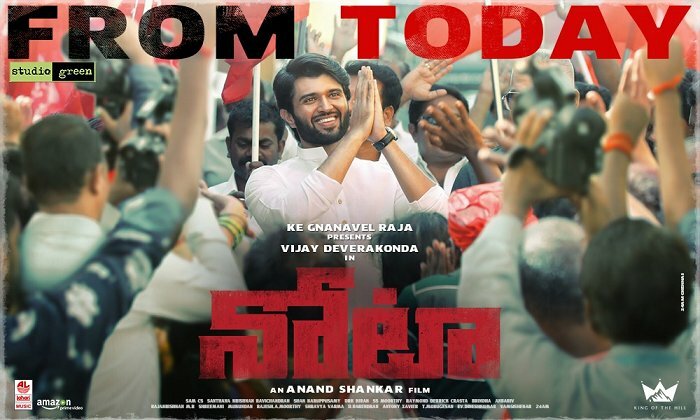 Vijay Deverakonda and Nasser`s Best efforts are the saving graces of this film which ends abruptly lacking an End Goal. Nevertheless, You may try it for the Lead Performances. Box-office Verdict : With Telugu + Tamil Worldwide Theatrical Value at around 25 Cr approx, this will find the going tough.